Image of our horse riding tour in Grand Cayman. 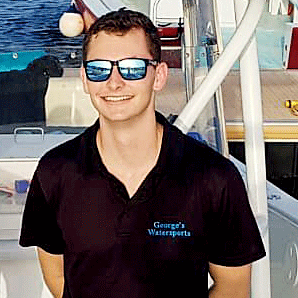 This tour takes you along a beautiful white-sand beach, as well as through the shallow warm waters off of "Barker's" beach. 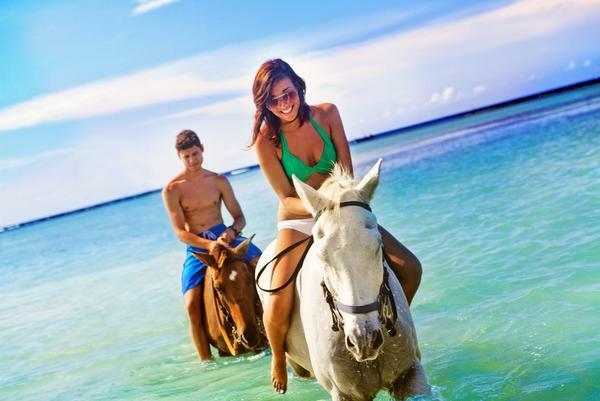 Ride horses through Cayman's crystal clear water, and let our professional guides show you why this is one of the most popular activities in the Cayman Islands. Tour is 2.5 hours long. You must know how to swim to do this tour. Minimum age is 14 years. This tour is not suitable for pregnant women or people with back problems. Make sure that you don’t make a mistake on the form, otherwise it won’t send. You should receive a response within 24-hours; if you don’t get a response, it’s because the email didn’t send due to a mistake made on the form. Responses can sometimes go into your junk folder.